We had the Shark Cart from the Newport Aquarium visit earlier this month, so to get the kids excited about it, I did a shark storytime the week before. This is one of those storytimes that I thought would be difficult to plan, but it turns out that LOTS of librarians have done shark storytimes and there was plenty of fun material to be had. Swim away, Leonard! Swim away, Lee! Come back, Leonard! Come back, Lee! This is a traditional rhyme that helps children practice motor skills and following directions. We repeated with different colors until the kids were ready to move on. 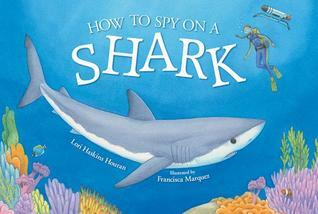 Book: How to Spy on a Shark by Lori Haskins Houran (Albert Whitman, 2015). 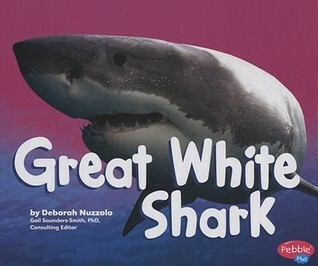 This nonfiction book uses gentle rhyming text to describe one way that scientists study sharks: by tagging them and having robots follow and record what they are doing. I chose this one because it's a very simple introduction to some of the work scientists do. Repeat with different sea animals. We did fish/swim, lobster/click clack and then I turned it over to the kids and they suggested sea turtle/glide, octopus/wiggle, and dolphin/flap tail. Repeat with two, three, four, and five. At the very end "They all fell in!" and knock the felt pieces off the board. 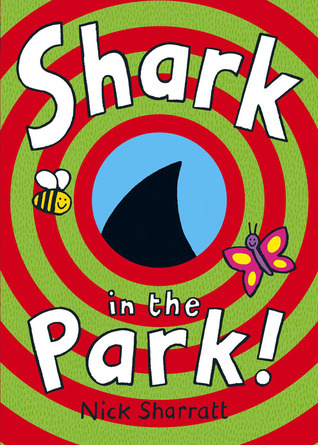 Book: Shark in the Park by Nick Sharrat (Corgi, 2000). This is one of our department's very favorite storytime books. It's cute and has actions the kids can do along with it (looking along with their telescope). This is a great one for practicing directions (look up, look down, look left, look right) and it has a fun surprise ending that kids love. Teasing Mr. Shark "You can't catch me!" Repeat: count down until there are no fish left. We have a shark puppet and I love to use puppets with this rhyme.